Learn the benefits of 1:1 meetings and how they contribute to better cultures. In our last blog post, we discussed the best practices for goal setting and how to follow through. One way to ensure your goal will be met is to schedule regular 1:1 meetings. These 1:1 meetings are a weekly or bi-weekly scheduled time on the calendar between you and your manager that offers an opportunity for coaching, mentorship and even a place to vent. Not only does this provide a chance for you and your manager to get the support you both need, but it also builds trust and drives engagement. Today, we will explain the importance of scheduling regular 1:1 meetings and the benefits it can offer. If you and your manager haven’t already done so, implementing regular 1:1 meetings is a crucial step towards your career and personal growth. In these meetings, you are able to share your ideas, your goals, and your concerns. It is a great opportunity to also discuss any feedback, evaluate your progress, and work together towards finding solutions to any issues. By having these open discussions, it will help you stay engaged and accountable, especially when it comes to goal management. Another advantage of regular 1:1s is getting the chance to receive recognition for your hard work. When you receive timely recognition, you are much more likely to feel appreciated, happy, and motivated. Regular 1:1 meetings gives you continuous feedback, offering tons of benefits both personally and professionally. 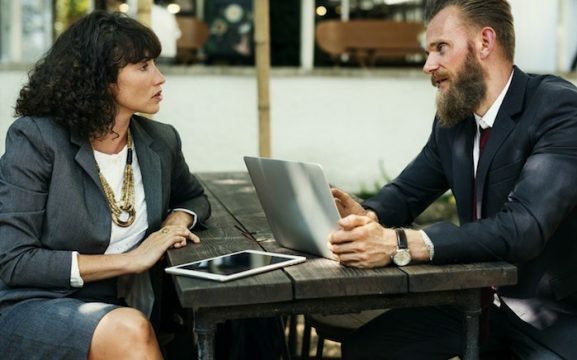 Receiving regular feedback is one of the most important ways to assess your performance, to understand the areas in which you excel, and what needs improvement. When you receive continuous feedback, make sure you listen and ask to clarify anything you don’t understand. For example, let’s say your manager asks you to improve on the delivery of your milestones. To get the most out of your manager’s feedback, be sure to ask questions like, “How will my improvement help you reach your milestones?” and “Who else on the team can help me?” Understanding your role in the workplace and how it affects others comes from continuous feedback. When you set aside this time on a regular basis, it provides a space for more meaningful discussions and develops trust between you and your manager. It also gives your manager a chance to get the support they may need. Afterall, 1:1s are a 2-way conversation and when you make the meeting about both of you, it builds excellent rapport. You can learn what their goals are, what they’re working on, and what you can do to help. It’s important for you and your manager to discuss what needs to be prioritized so you can work together on the bigger goals. Pro Tip: Remember to always prepare for your 1:1 meetings by having an agenda and staying organized. Your manager will thank you! As we see in this example, introducing 1:1s and having regular honest discussions can help build and foster a more transparent company culture. Your manager will better understand your career goals so they can give you stretch assignments to develop new skills and build upon skills you already have. It will also give them a better idea of what you’re looking for when it comes to your career path. All Elements understands the vital role technology plays in the workplace, especially when it comes to using software to have beneficial 1:1s. Since 1:1 meetings are just a short period of time to discuss important matters, you don’t want to use up that time giving basic status updates. All Elements provides that needed transparency on a daily basis so status updates can be given outside of 1:1s and the time for your 1:1 can be spent coaching, mentoring, and working on individual and team development. All Elements provides an easy-to-use template to help schedule your meetings, set the agenda, and have a meaningful conversation. The interface provides a guide with sample questions that discuss topics like career goals, personal growth and development, feedback, team improvement, company culture and much more. All Elements understands the value of 1:1 meetings and how continuous feedback can create the company culture you want. By using All Elements software, it will help nurture more productive work environments, honest communication, and a transparent culture.